2014 is almost at an end. Marking the end of our first full calendar year of being a blog, it marked a big year for us at Pens Initiative. Let's take a look at our top posts of 2014. The year started on a scary note as we all found out that Kris Letang's mysterious injury, one he'd been battling for a while, turned out to be a stroke. Liz broke down what happened to better help us understand Kris Letang's stroke. 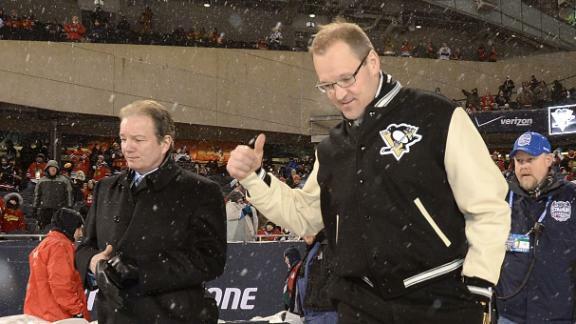 After an Olympic flame out, and waning support amongst Penguins fans, Brian (nee, ExcitedBobErrey) took to PI to exclaim that enough was enough, it was time for Dan Bylsma to go. After a lackluster year, a bad Olympics, and a seemingly growing hypocritical way of treating things in the locker room Nick voices his opinion: Thanks for everything Brooks Orpik, time to be on your way. James Neal began to grow a reputation nearing the end of the regular season. Multiple dirty, unnecessary plays put him in hot water amongst fans. Liz argued, however, the Pens ill fated #AskNeal left Neal out to dry. After Ray Shero was fired, friend of the blog Dejan Kovacevic was the first to nab an interview with Penguins braintrust Ron Burkle and Mario Lemieux. Liz sat down with Dejan to talk about how it all happened. 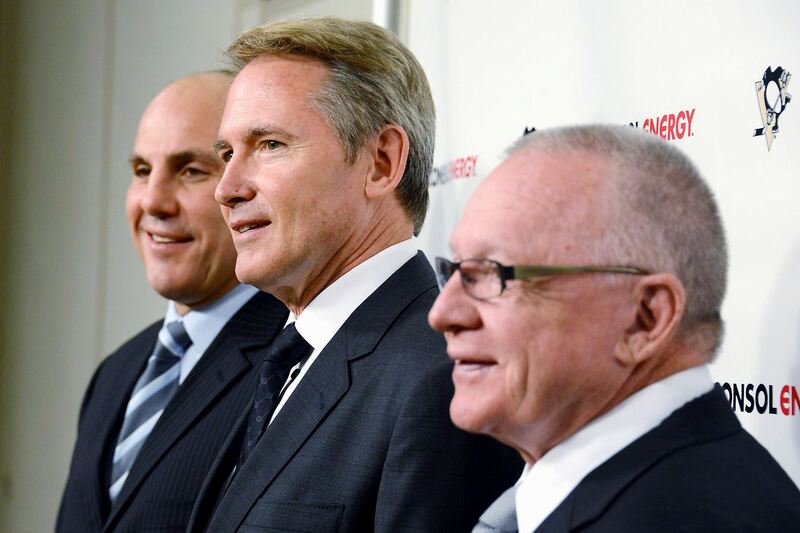 After Ray Shero's departure, plenty of names were floated as his replacement. Brian took time to break down two VERY popular candidates and made the case for Pierre McGuire and Mike Milbury. 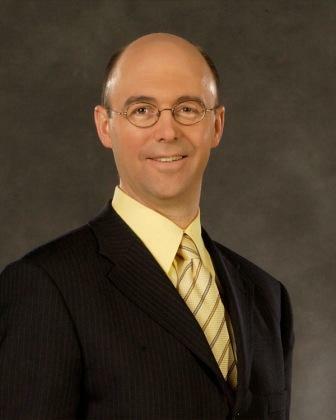 Nick wanted to remind you that no one really ever liked Pierre McGuire. Bill Guerin was inducted into the USA Hockey Fall of Fame this year. An important part of a big year for Bill, Liz looked at what makes him different, what makes him special. Perhaps our biggest story of the year, certainly our biggest scoop, was the mess that had become the coaching search for the Penguins. Loaded with inside info, we let you know what was going on that was making the coaching search so difficult. Finally the coaching search came to an end. Mike Johnston was our guy and really... no one knew who he was. We posted a little primer on the guy who was done wonders for the Penguins in his first year. A lot of things changed in Pittsburgh media. It all started with Dejan Kovacevic stepping down from his position at the Trib to start his own site, DKonPittsburghSports.com. Liz, once again, sat down with DK to talk about his decision. Back at the draft, seemingly out of nowhere, James Neal was traded to the Nashville Predators. Few knew exactly who was coming in return. 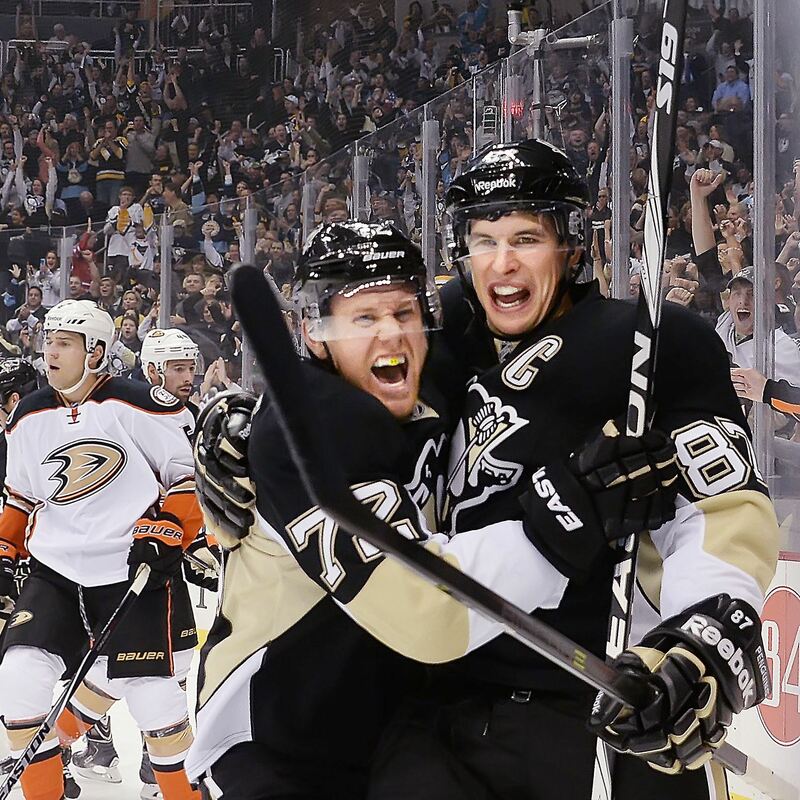 Kyle told all that we should be excited about the key player in the trade, Patric Hornqvist. In an offseason of uncertainty, one of the biggest things hanging over everyone was the future of Marc-Andre Fleury. After the departure of Brooks Orpik, Beth looked at the realities of not extending the Pens longest tenured member. You guys remember when Sidney Crosby was jailed?! LMAO. After the Penguins revealed their fantastic new third jerseys, Lee scoured the seedy underbelly of Twitter to see how much they irked Boston Bruins fans. Training camp was a weird time for Penguins fans. The first one under a new coach in five years, things were strange. Most strange? The lack of Evgeni Malkin. Nick asked allowed, "Where is Evgeni Malkin?" Either everyone wanted to know where Malkin was or they really cared about Jeff Zatkoff being sent to WB/S. In case you were slipping, Liz stepped up to remind Pens fans why, exactly, they should hate the Flyers. And she gave them in list order! A major bummer, and blow, came with the announcement of Pascal Dupuis' season (and maybe career) ending blood clot. 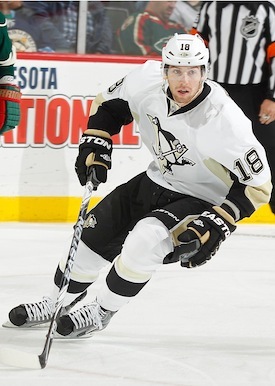 Ken looked back at the players who were involved in the Dupuis-to-Pittsburgh trade. 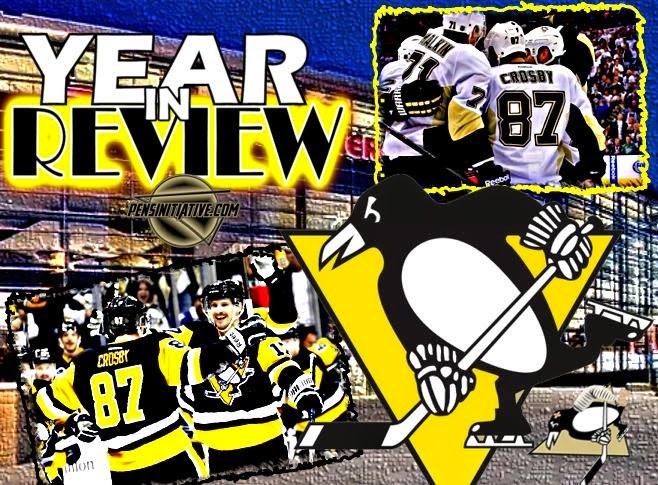 It's been a different year for the Penguins. It's been fun seeing them evolve and change and grow. Sean gave us three big reasons these Penguins are different than those of the Bylsma/Shero era. The Neal trade shocked many at the time, and was met with a lot of criticism, but it's turned out to be a rather good one. Brian looked at the trade at the season's quarter mark. Despite his standings in the points race, Sidney Crosby has had some struggles. Before the whole mumps thing, Michael asked "What's wrong with Sidney Crosby?" It's been an interesting year when it comes to officials. First the Penguins were getting calls galore and absolutely destroying the power play. Then it all dried up. Brian wondered if the refs were screwing the Pens. So many more posts, and posters, came about this year. This is just a small list of all who have contributed and what has been done in 2014 on Pens Initiative. We thank you all for joining us on the ride and look forward to another year of the roller coaster that is the Pittsburgh Penguins. Happy New Year and a most sincere thank you for reading.